It’s official! Fall is here, and with it comes lots of yummy fall flavors popping up everywhere. Slip into your coziest hoodie and join us as we explore a few favorites that college students like you are sure to love. If you’re looking for a sweet morning treat before class, Starbucks now has pumpkin bread and pumpkin cream cheese muffins, and Panera even has pumpkin pie bagels. Yum! But, these treats only last so long. So, be sure to wake up at least five minutes early if you want to get your hands on the freshest goods. To save some cash, head to the market and buy a whole bag of bagels and a container of Philadelphia Pumpkin Cream Cheese — you should be able to eat breakfast for a week for the same price as one day at a cafe. Or if you’re into the homemade taste and have the supplies to bake in your room or apartment, make your own pumpkin bars to share with friends. 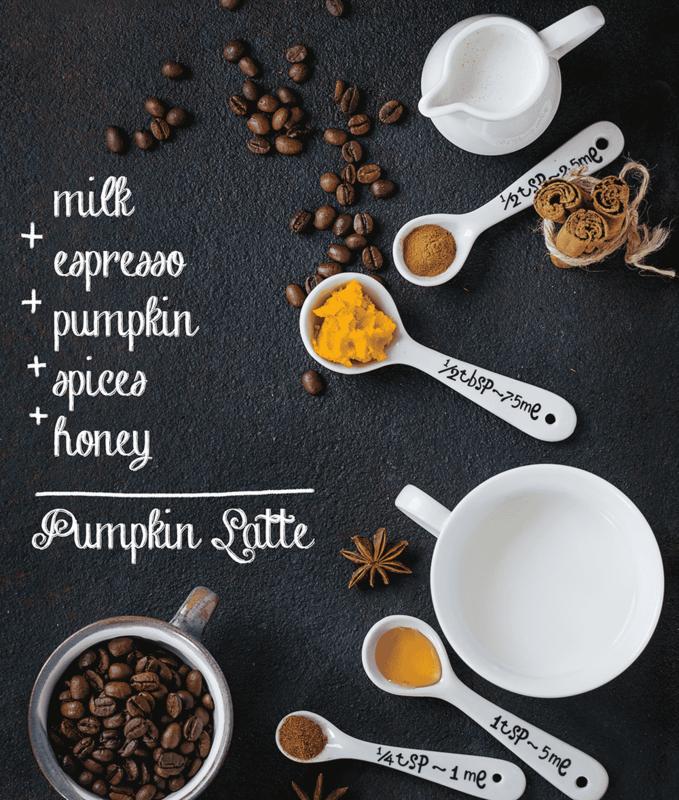 Pumpkin spice latte is a staple of the season every year, available at most coffee shops and even fast food joints. This year, Starbucks is introducing a Pumpkin Spice Chai Tea Latte, combining two of our favorite fall flavors. They’re also offering Salted Caramel Mocha – a marriage of sweet and salty perfection, and Cinnamon Dolce Latte. 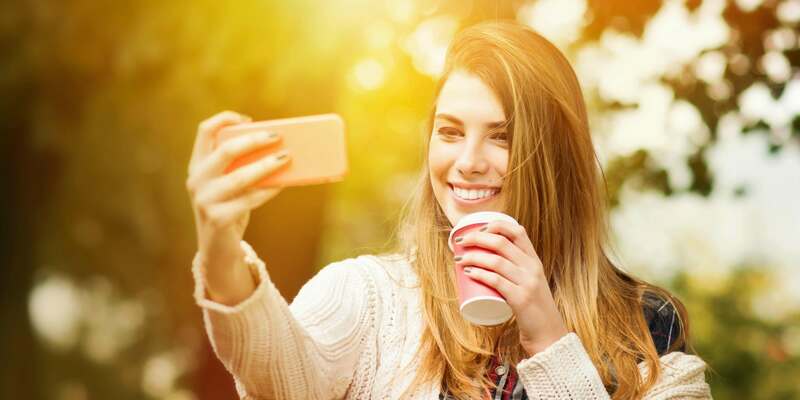 If you’re like most college students and can’t afford to buy a fancy cup of joe every day, don’t mark these fall treats off your list. Your local grocery store may carry Iced Pumpkin Spice Lattes in a 14-oz. bottle for under $3 each, saving you around $2/day. Or if you want it hot and have a coffee maker in your dorm room, buy an 11-oz. bag of Starbucks PSL ground coffee for $9.99. 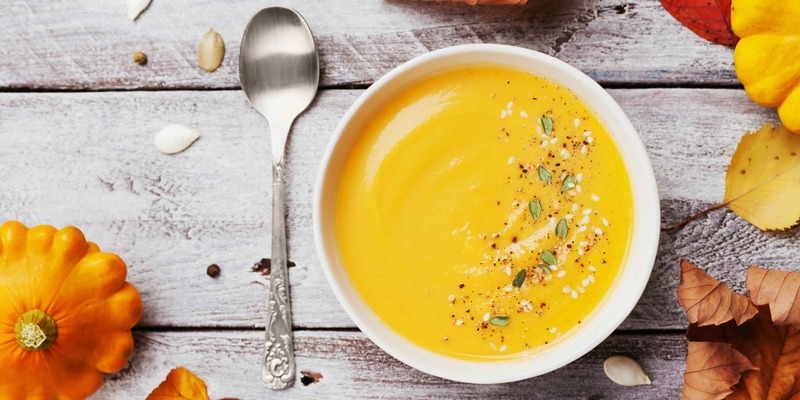 To warm your belly on a chilly fall day, Panera has a Vegetarian Autumn Squash soup that gets rave reviews. It’s made with butternut squash and pumpkin simmered in vegetable broth, with honey, apple juice, cinnamon, curry and sweet cream, then topped with salted pumpkin seeds. Mmmmm!! Or for a similar soup at home for less than half the price, try Campbell’s Homestyle Butternut Squash Bisque, available at Walmart, Target, and even Amazon. Want to cook soup at home? The best recipes for college students don’t require a lot of ingredients but are super filling. Most hearty Tortellini soups are made with just 10-12 items, many of which are staples from your cabinet, and a 5-Ingredient Chili is the perfect quick-and-easy meal for watching Sunday football with roommates. College students away from home might not get to enjoy Grandma’s pumpkin or apple pie a la mode this fall, but that doesn’t mean you can’t enjoy your favorite sweets of the season. If you like ice cream, Culver’s has Pumpkin Gingerbread and Salted Caramel Pumpkin concrete mixers. If you’re craving a hot apple dessert, head to Cracker Barrel for their Hot Apple Dumplin covered with pecan streusel and vanilla bean ice cream and apple topping.